KUCHING: Since taking over the Federal administration office, Pakatan Harapan (PH) has paid over RM2 billion in subsidies for petrol and diesel, said Deputy Minister of Domestic Trade and Consumer Affairs (KPDNHEP) Chong Chieng Jen. He revealed that from May to August, the subsidies paid by the government to oil companies have amounted to RM1.3 billion for petrol and RM777 million for diesel. “Despite the fact that international oil prices have increased, we are adhering to our manifesto in maintaining the prices of petrol and diesel. 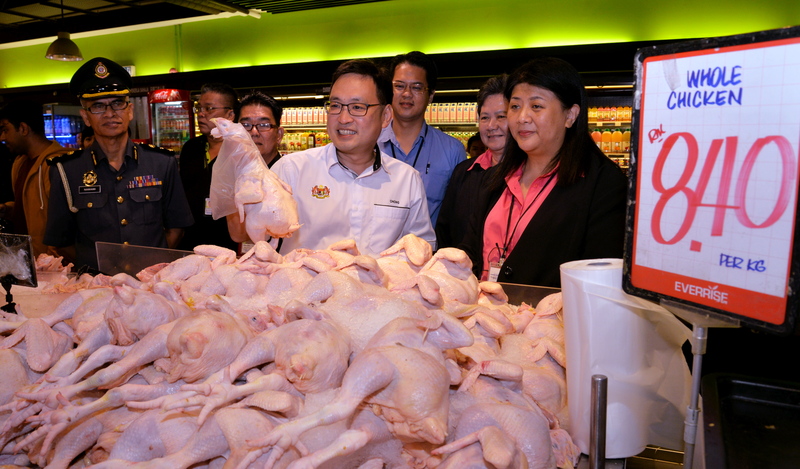 “Had there been no change in government, the people would still be paying an extra RM2 billion,” he said during a press conference after conducting an inspection at the BDC supermarket here yesterday. On the inspection, Chong said that it was to check the general prices of goods in the market. “So far, Everrise is still selling churchesthe items at prices before the Sales and Services Tax (SST) was introduced. “If you look at the list of the top 20 most purchased items in Everrise and their prices before Goods and Services Tax (GST) and after the abolishment, all items have decreased in price,” he said. Chong, who is also the Member of Parliament for Stampin and State Assemblyman for Kota Sentosa, praised the ministry’s enforcement team for their hard work. “Our ministry is doing their best to ensure that after SST, no one takes advantage to make unreasonable profit,” he said. Over RM2 bln paid for petrol, diesel subsidies 0 out of 5 based on 0 ratings. 0 user reviews.